In 1625, Welsh poet George Herbert wrote “Every mile is two in winter.” February felt a bit like that: here at the Kelowna Chamber, we hosted eight events, assisted in several by-election forums, enjoyed Family Day, watched the PyeongChang Olympics, upped the communications chatter for Chamber Week, and just generally dealt with all things Chamber. Under sometimes gray skies, it did feel like every mile was two, at times. But spring is nearly here, with its blue skies, and promise of great things to come. And no more snow to shovel! On the Olympic note, I did want to say, “Way to go” to all the Canadian Athletes but a special congrats to the Okanagan’s Justin Kripps who along with brakeman Alex Kopacz captured gold in two-man bobsled, finishing in a dead heat with Germany. Summerland is celebrating! Perhaps as a sign of Canada’s new “gold rush”, our recent Chamber luncheon on “The Business of Cannabis,” drew a large turnout with more than 250 seeking to better understand the opportunities and potential workplace impacts of the pending legalization of cannabis. It was an informative session that provided insight into the cannabis brands to watch on the stock market, the enormous impact cannabis businesses will have on employment and job creation, and some sobering words about human relations rules and regulations for both employers and employees. On Valentine’s Day, our Chamber riding, the Kelowna-West riding, held its long-awaited by-election for MLA. Five candidates duked it out, with wide-ranging platforms. In the end, former MLA Ben Stewart of the Liberal Party of BC was victorious with over 56% of the vote, the NDP in second place with 23% and the Greens at 12.7%. Our riding is looking forward to once again having sitting representation in the House, which began its Spring session February 13. With the House sitting, the new provincial budget was tabled February 20. Our Chamber brought a “post-Provincial Budget Breakfast Analysis” to our members the next morning. KPMG gave us insight from two of their senior tax managers, Judith Kaplan and Nicole Watson, dissecting the budget for breakfast guests. We then did the same post budget analysis a week later for the federal budget, tabled by Minister Morneau on February 27. That event was sponsored by MNP LLP and much of it centered on the proposed tax changes the Federal Liberals having been talking about for more than a year. 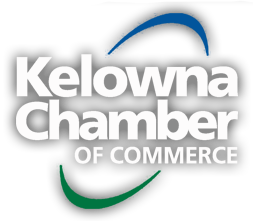 For our Chamber, there are a number of issues front and centre for business in the Okanagan right now, but likely none as concerning as the oil/wine debate between BC and Alberta. Even as I write this, the scenario is changing – and certainly our wine industry here in the Okanagan wants to see zero impact from the back-and-forth between the two premiers. “Weaponizing” wine and linking it to the transport of oil is not the way to build a stronger Canadian economy. For our part, our Chamber is renewing its policy from 2015 at the BC Chamber AGM this May – “Interprovincial Trade Barrier Reform: Beer and Wine Industries”. We are updating it now – to reinforce the need to reduce barriers across all sectors for the benefit of the national economy rather than fueling political rhetoric that centres on further talk of boycotts. Earlier, I mentioned how much we had enjoyed Family Day on February 12th. Now that the government has announced a change for 2019 – to one week later so we can all party together (on the Prairies? In February?) we will join with our colleagues in Whistler, Kamloops, and the Okanagan to continue to work with the BC Chamber and by default, the government, to make the case that a strong tourism economy – and a strong ski hill economy – relies on spreading out tourist and local visits for maximum positive economic impact. From our point of view here at the base of both Big White near Kelowna and Silver Star near Vernon – plus numerous cross country trails at Apex and the like – the more room at the inn, the better. There are likely advantages for the financial sector to align with other jurisdictions (markets) but at this stage, purely from the business perspective, we do ask if there is a strong business case for moving Family Day. From our research, we believe it is simply a trade-off and your views will vary depending on whether tourism or the financial sector is playing a bigger role in driving your local economy. As always, I want to welcome new members to our Chamber since my last column. Alair Homes Kelowna; Axis Insurance Managers; Cherrille Appraisals; Whiskey Island Pizza Company Inc. also known as Mr. Mozzarella Pizza & Wings; Checkmate Cabs; The Hidden Gem Restaurant; and Predator Ridge, our newest President’s Circle Member. Welcome to all.